Seven’s digital channel 7TWO delivers an Australian comedy classic, Mother And Son, from tomorrow night (Monday). The popular series stars Ruth Cracknell as Maggie Beare and Garry McDonald as her long-suffering son, Arthur. Arthur is in his 40s and, after the collapse of his marriage, he moves back home to take care of his aging mother, Maggie, who is gradually falling into dementia. But despite his best efforts to keep up with the sometimes-mischievous Maggie, she continues to fawn praise over her elder son Robert (Henri Szeps), who does little to look after her. The series, written by Geoffrey Atherden, produced 42 episodes between 1984 and 1994. It was originally produced and aired on ABC, but in the late-‘80s some episodes were repeated on the Ten Network. 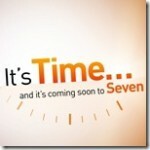 The series made a brief appearance earlier this year on Seven. Mother And Son joins other Australian series Sons And Daughters and Home And Away on the 7TWO channel. 7TWO will also be screening the short-lived 2005 Australian drama series Headland, starring Libby Tanner and Conrad Coleby, weekday afternoons at 12.00pm starting next Monday 7 December. 7TWO is currently available via Seven’s digital signal in Sydney, Melbourne, Brisbane, Adelaide, Perth and regional Queensland. 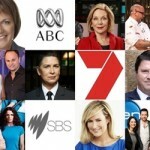 The channel begins transmission this week, on 1 December, via Southern Cross Television in Darwin and Tasmania. There is still no official word as to when regional affiliate Prime intends to start carrying the channel to its digital coverage areas in NSW, ACT and Victoria. 5 November 2014 Who Do You Think You Are… a sitcom?